Posted on 03. Jul, 2010 by Corey in All, Dayton Dragons Baseball, General Baseball. When the Dayton Dragons players and staff enter the locker room for tonights game against the Great Lakes Loons, they will find something new in their lockers. I have placed a new hat in their for every member to wear during tonights game in honor of the Fourth of July and to help raise money for the Veterans. Although the hats have been out for view for around a week, I have done my best to keep this under wraps as a secret and surprise for the players. Visit the store to purchase your own!! DAYTON, OH –The Dayton Dragons and other teams throughout Minor League Baseball will wear specially-designed hats this weekend as part of a coordinated effort that will raise money for “Welcome Back Veterans,” a program that addresses the mental health and job needs of returning American Veterans. Minor League Baseball and Major League Baseball Properties will donate all the proceeds from the sale of the caps to Welcome Back Veterans. New Era, producers of the hats, will also contribute a portion of the sales of the “Stars & Stripes” caps to Welcome Back Veterans. This program is similar to the one Major League Baseball teams are or have taken part in for Memorial Day, 4th of July and September 11. The cap consists of a white crown, navy blue visor with the American flag etched into the Dragons logo. The Dragons will wear the hat in their game Saturday night at Fifth Third Field against the Great Lakes Loons at 7:00 p.m. 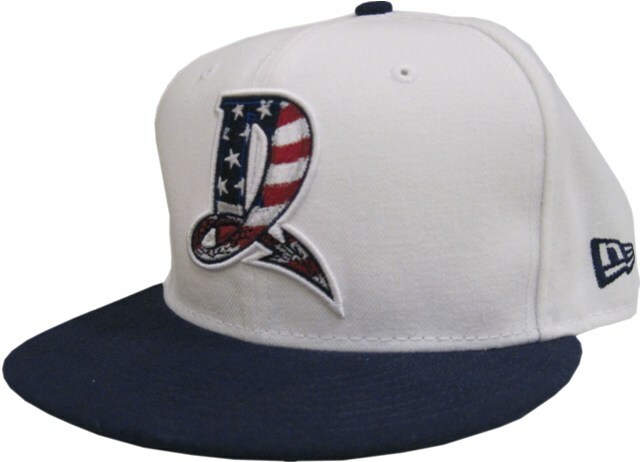 Fans can purchase authentic Stars and Stripes hats at the Dragons Den at Fifth Third Field.